Are you planning on remodeling your bathroom in the upcoming days, weeks, or months? If so, have you decided what you would like to have remodeled? There are some homeowners who only choose to remodel a small portion of their bathroom, but there are others who wish to remodel every square inch of it. 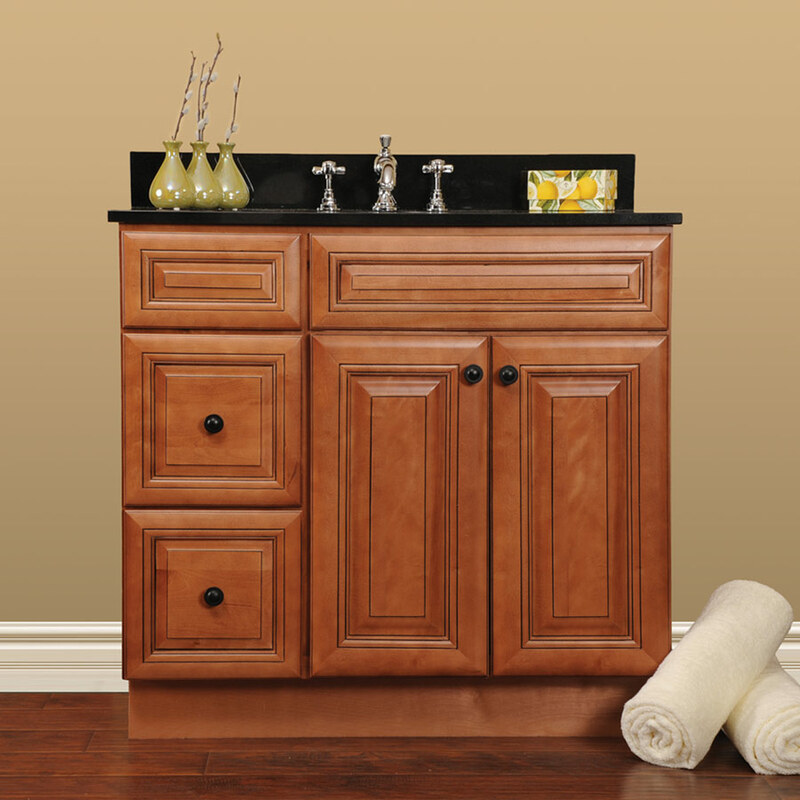 Whether you are only looking to plan a small remodeling project or a large one, there is a good chance that you may be in need of new bathroom cabinets. 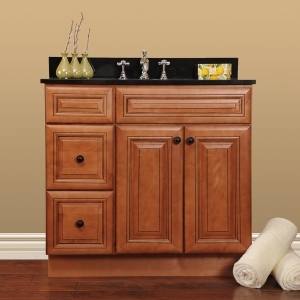 When it comes to bathroom cabinets, you will find that not everyone needs or wants them. There are some homeowners who choose to keep their bathrooms as simple as they could possible be, which often includes leaving the cabinets out of the bathroom. Despite the fact that not all homeowners have cabinets inside their bathrooms, a large number of them do. One of the reasons for that is storage space. Whether you are looking for a place to store your bath towels or your health and beauty products, a bathroom cabinet may come in handy. Whether you are looking to replace your old bathroom cabinets with new ones or if you are installing cabinets in your bathroom for the first time, you will need to make a decision. That decision is what type of cabinets you would like to purchase. Although it may seem like a fairly easy decision to make, you may find that it isn’t as easy as you originally thought. One of the reasons for that is because all of the choices that you will have. When it comes to buying new cabinets for your bathroom, you will find that you, literally, have an unlimited number of different options. Perhaps, the best thing to do, when looking for new bathroom cabinets, is decide what you would like to have or, at least, where you would like to have them. 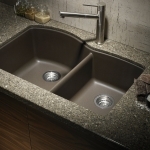 For instance, if you are remodeling the rest of your bathroom, there is a chance that you may have already decided on a new bathroom sink or toilet. If that is the case, you will want to choose bathroom cabinets that will match the rest of your remodeled bathroom. Although you may be unable to pre-select a style, you should at least be able to decide on a color. The color, alone, may come in handy when shopping for a new set of bathroom cabinets. In addition to the color, it is also important that you determine how much space you have available for cabinets. This is important because bathroom cabinets come in a number of different sizes, shapes, and styles. Many bathroom cabinets can be re-sized, with the right training or professional assistance, but it may be impossible to do it will all cabinets. That is why it is advised that you know, ahead of time, how much room you will have for your bathroom cabinets. The last thing that you will want is to be stuck with a set of cabinets that are too big for your bathroom. Once you have decided what size bathroom cabinets you need, as well was what color cabinets you want, you may want to start shopping. Whether you do your shopping online or in one of your local home improvement stores, you will find that shopping, almost always, makes it easier to find the bathroom cabinets of your dreams. In fact, if you are remodeling the rest of your bathroom, it may be a good idea to make all of your purchases at the same time. Doing so may help to ensure that all of the bathroom fixtures, materials, and supplies used will compliment each other; often resulting in the best bathroom ever. Whether you decide to shop for your bathroom cabinets, as well as the rest of your bathroom remodeling supplies, online or in one of your local home improvement stores, it is important that you take a minute to examine your decision. Bathroom remodeling projects can not only take a lot of time, but a lot of money; therefore, you will want to make sure that your decision is the right one.